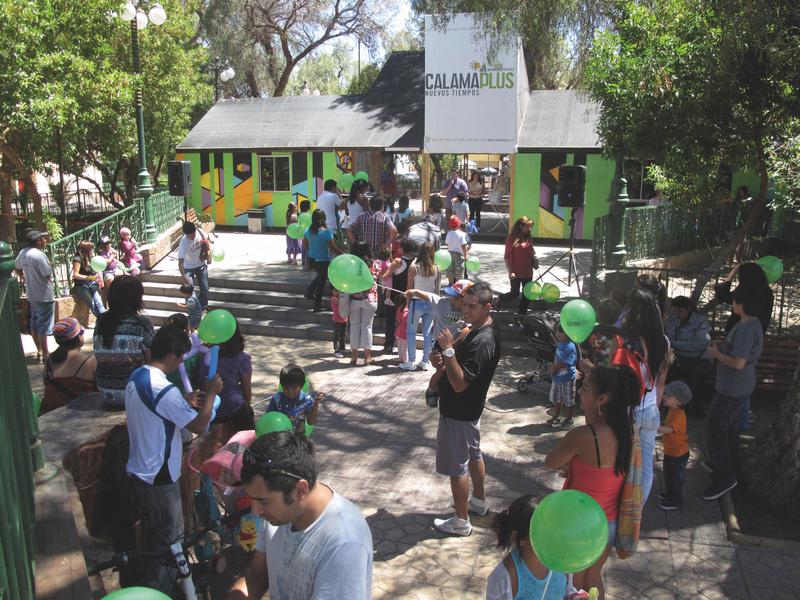 How change is managed is of pivotal importance, and the masterplan as a hands-on cultural framework which doesn’t alienate people, responding to urban environments as organisms in continual evolution, has the power to foster potentials and a better sense of ownership, along with a new resilience in the faces of multiple challenges. 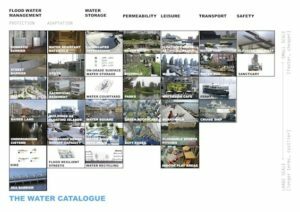 Image: Water catalogue for RiverCity 2021 plan, Gothenburg, Sweden, second stage, East – Director Dann Jessen – and R_E_D – Director Susannah Hagan – alongside West 8, Güller Güller and SLA/Hanning Larsen Architects. The team has been examining how RiverCity 2021 can be developed to have a strong sense of physical permanence and a culturally and socio-economically sustainable urban environment while also being capable of accommodating a changing environment, especially rising water levels and more frequent periods of flooding. The Water Catalogue sets out appropriate typological interventions including landscape infrastructure and buildings able to accommodate rising water levels while continuing to support an urban environment with active ground floor uses and accessible public spaces. © East and R_E_D. Monday 10 March, 6.30-9.00pm. Wharfkitchen café/bar open until 10.00pm. Darryl Chen, Hawkins\Brown, Dominic Papa and Jonathan Woodroffe, S333 and Dann Jessen, East. He has led large-scale regeneration projects for the London Boroughs of Hackney and Enfield, as well as well as supported projects including the Peabody Estate in Clapham and The Wharves in Deptford, and is currently working on the Sanhe Metro Station Masterplan and Nordic City, Chengdu, China. His work rejects current orthodoxies in order to explore the perverse and underrated as source material for a provocative urban practice. It spans community-based geo-engineering, self-incarcerating eco-villages and the possibilities of a productive dystopia. Darryl also is a co-founder of thinktank Tomorrow’s Thoughts Today. Dominic Papa has 20 years of experience working on large-scale, urban design and architectural projects. He is Director and co-founder of S333 Architecture + Urbanism, founded in 1997 in Amsterdam and now based in London. The office’s first completed project, a mixed-use housing project in Groningen, the Netherlands, won international recognition and positioned S333 at the leading edge of contemporary urban design. He has led a research team exploring the contemporary conditions influencing the success and failure of intense forms of housing and urbanism in Britain, and is currently producing a document on family housing guidance for a London borough. He is developing new initiatives responding to the urban transformation through the knowledge economy in Europe and the Far East; contributing to the international development forum INTA. He has been a member of the RIBA Housing Group advising on policy and is a Building Environment Expert and London Panel member at Design Council CABE and is also a regional panel member for the West Midlands. In 2013 he was made chair of Islington Design Review Panel. Recently he has been part of a small team from the UK advising the federal government of Brazil on evolving their housing policy to deliver more sustainable urban areas. As a member of INTA Jonathan has participated in panels reviewing the future of the metropolis of Bordeaux (2010), the redevelopment of La Reunion’s main port area (2011) and the organisation of NCTU’s new university campus in Taiwan (November 2009). He lectures regularly and has taught at the AA and at the Academies van Bouwkunst in Tilburg, Rotterdam and Amsterdam. He is currently leading a master programme at the Bergen Architecture School researching urban intensification in the city, and is also currently contributing to the 2014 XXL Design and Research Workshop at TU Delft. He has extensive experience of developing ideas, design and research as well as management and project implementation on a wide range of building, landscape and urban design projects. Recent projects include East’s contribution to the International RiverCity Gothenburg Masterplan Workshop, the Renewal of the Urban Renewal Amsterdam-based research project led by TU Delft, the West Croydon Interchange public realm project (building on East’s West Croydon Masterplan) and Park House hotel and apartments at West Ham Lane in Stratford which won a New London Award last year. The architect Liza Fior was born in London where she practices as one of the founding partners of muf architecture/art, set up in 1994. Since 1994 muf architecture/art has established a reputation for pioneering and innovative projects – incremental urbanism, built landscapes and public realm, strategies and buildings, temporary and permanent. These address the social, spatial and economic infrastructures of the public realm, and muf negotiates between the built and social fabric, and between public and private in projects that have been mainly focused in East London, but not exclusively. Muf were winners of the European Prize for Public Space for Barking Town Square in 2008, and were nominated for the Mies van der Rohe Prize in 2010 and the Swiss Prize for Architecture (2012) for projects with limited budgets and briefs enriched by muf’s unsolicited research behind each of their projects. In 2011 muf won a RIBA Award for Barking Central, Public Realm Architect, and Making Space in Dalston with J&L Gibbons won the Landscape Institute President’s Award. Liza is co-author of This is What We Do: a muf manual (London, 2001). She has taught at the Architectural Association, the Royal College of Art and Yale University School of Architecture. Setting up Studio Egret West with Christophe Egret in 2004, he led the practice’s creation of numerous sustainable neighbourhood projects including Evolution Gateshead (3000 homes), Middlehaven Docks (700 homes); Surrey Canal – London’s Sporting Village (a 2,500 home and 2,500 job development around Millwall football club) and Cambridge Sporting Village. He prepared the strategic framework plans for Holt Town, East Manchester, Maze Long Kesh in Belfast and South Shields Riverside in Tyneside. In London, David is currently leading the following projects as lead consultant/principal urban designer: The Old Vinyl Factory in Hayes (a mixed use regeneration project for 600 homes and 4000 jobs); The Millharbour Village Masterplan; The Stratford Town Centre Public Realm Strategy and a rejuvenating urban design strategy for Bromley town centre. Urbanista.org is a new webzine of critical perspectives on contemporary urban design and its responses to social, cultural, political and economic forces globally founded in February 2013. Its incisive global radar senses and unfolds narratives, enabling Urbanista.org to operate as a unique media vehicle, including events and exhibitions internationally, in a field experiencing deep challenges. It been designed by &&&, London, a design agency reclaiming graphic design in the purest form as a powerful tool to intuitively communicate across all platforms. Limewharf is a Hackney-based future gallery and artistic laboratory on Regent’s Canal in the heart of east London’s creative quarter at 1 Vyner Street, E2. This innovative and experimental centre, which opened in spring 2013, welcomes both artists and scientists to collaborate in residencies, think tanks, gatherings and stimulating exhibitions. It aims to engage with the public and local communities through a series of participatory exhibitions and events tackling diverse topics ranging from DIY ethics and sustainable practices to cutting edge technologies.